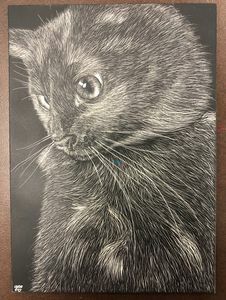 I can transform images of your cats or dogs into intricate scratchboard art. You can add a personalized custom piece to your art collection in your home! 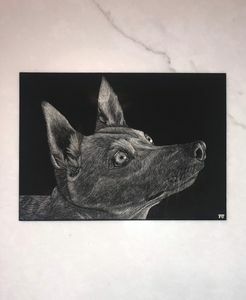 Send me a picture of your pet, and I can make a custom scratchboard for a great price. About me: My name is Gracie and I love making realistic art, specifically animals on Scratchboards. Feel free to contact me if you'd like a custom piece of your favorite pet!